Location, Location, Location. Lots of Uses. - Zoned Commercial. Located in special tax savings Opportunity Zone. On US 1 with grandfathered in monument sign ready to be re-designed for new owner. Estimates to replace with digital are in the process. No flooding inside from Irma. This property sits high and coral bedrock. Great owner/user or investor purchase. Currently 7 private furnished offices, space for more, 2 bathrooms, plus a 2 bedroom 1 bath furnished apartment - could be additional office space. The versatile floor plan makes it easy to expand or contract a business with interior doors connecting units. Lots of parking too. Survey and elevation certificate attached. 10x20 storage shed. 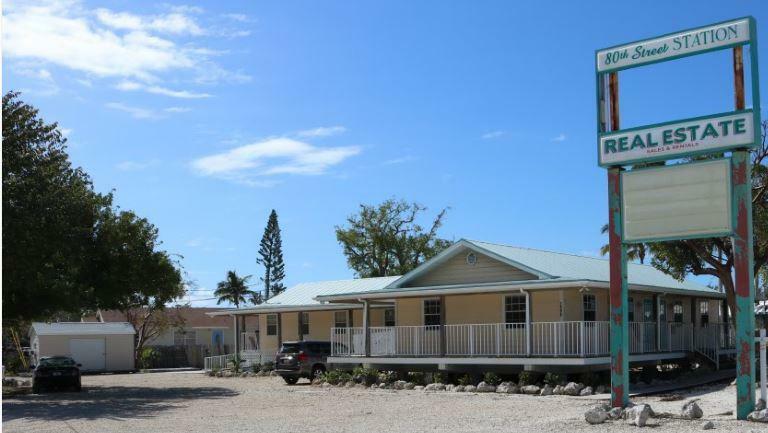 See Remarks for more information.Great location and setup for Owner-Users: Office Suites, Real Estate Office, Vacation Rental Company, Doctor's Offices, Plumbers, Electricians or just about any type of commercial use business. Tenants have short term leases due to sale but easy to fully lease long or short term. Zoned Commercial Mixed Use with lots of possibilities. Note: This property is located in an area nominated by the state as an Opportunity Zone for tax purposes and offers additional capital gains tax benefits: https://www.cdfifund.gov/Pages/Opportunity-Zones.aspx Investors can defer and reduce realized capital gains on the principal invested, and even eliminate their capital gains tax burden on returns earned through the sale of investments in qualified Opportunity Zones. Contact your Accountant to confirm how this property could benefit your investment. https://fundrise.com/education/blog-posts/tax-incentives-of-investing-in-opportunity-zones Owner will consider all offers. Listing courtesy of Gidget Jackson of Re/Max Realty Group Llc.